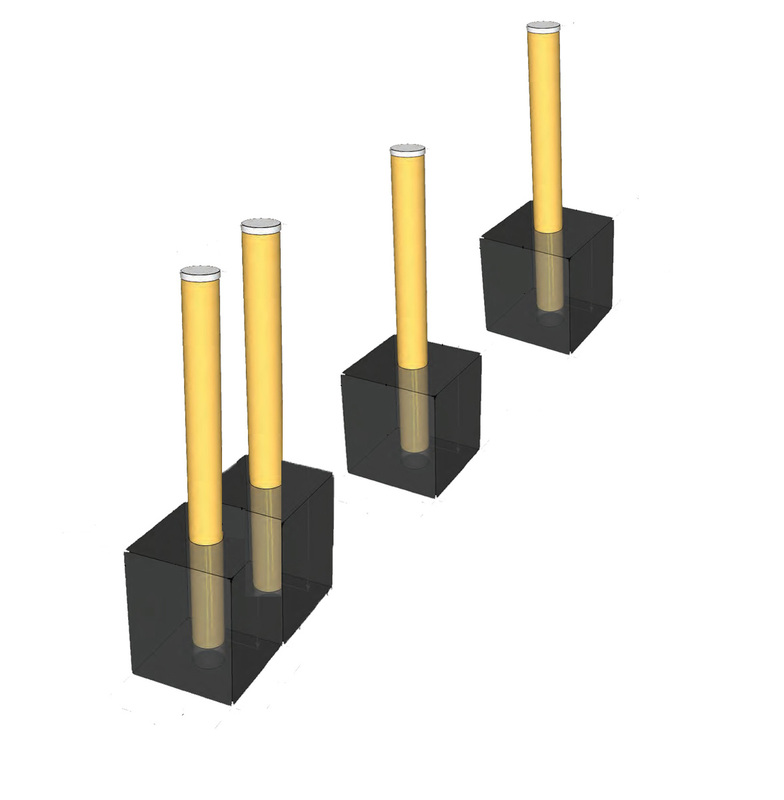 Trident Bollards provide premium protection for pedestrians, vehicles and assets in high traffic scenarios. Forming the nucleus of the Trident system from Australian Bollards, two of these units flank a Solar LED Line Marker that enables a holistic safety solution by increasing pedestrian visibility. This method of security is particularly focused on fortifying overhead gantries within construction zones and loading docks, a resolution that will prevent people from harm and vehicles from damage.